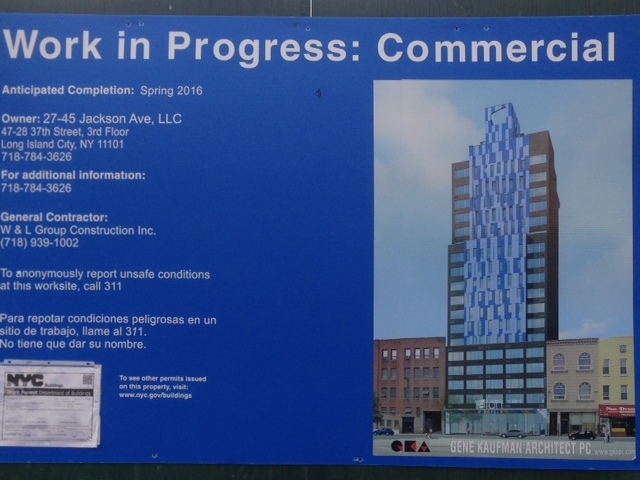 Construction is moving along at 27-45 Jackson Avenue, the future home of Aloft Hotel. 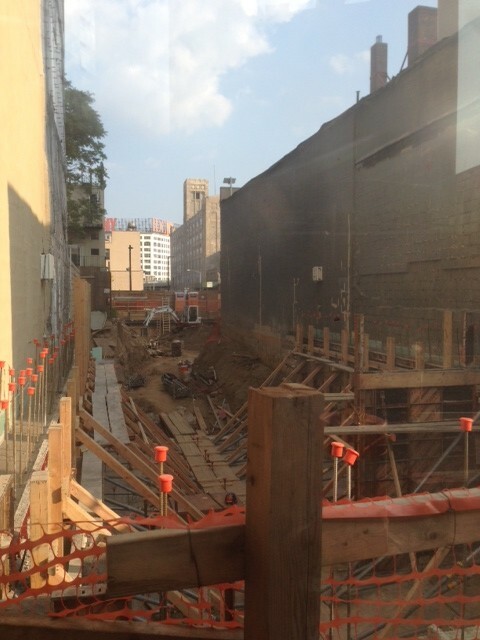 We stopped by last week and saw that crews have mostly finished the excavation they were working on in May,1 and they’ve now moved on to making the foundation. When all is said and done, the building is projected to be a 22-story building on the existing 20-foot-wide and 200-foot-deep lot.2 The building is expected to deliver in Spring, 2016.